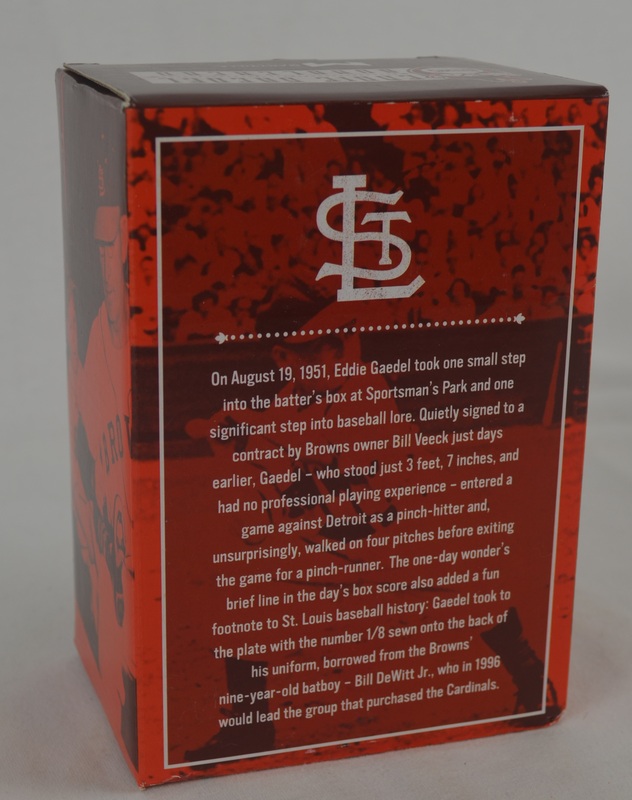 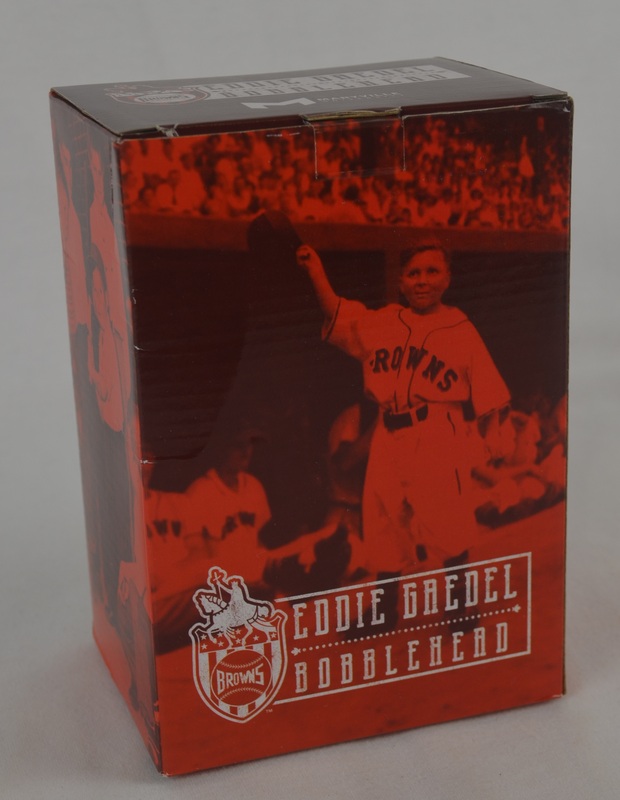 This lot contains an Eddie Gaedel bobblehead doll in its original packaging. Gaedel gained recognition in the second game of a St. Louis Browns doubleheader on August 19, 1951. 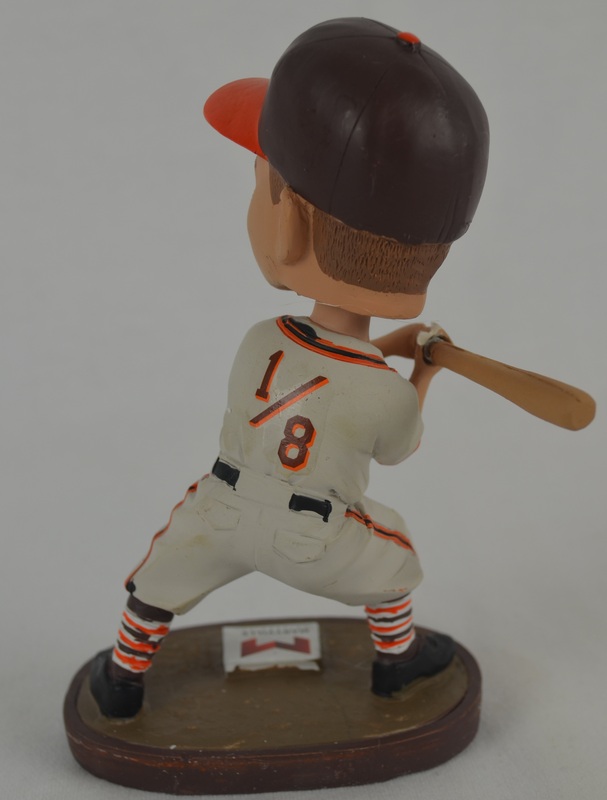 Weighing 65 pounds and standing 3 feet 7 inches tall, Gaedel became the shortest player in the history of the Major Leagues. 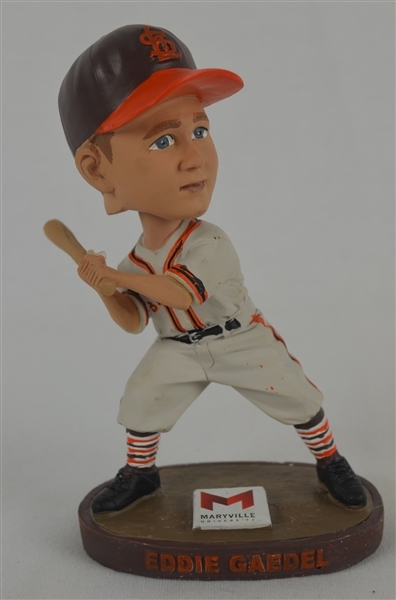 He made a single plate appearance and was walked with four consecutive balls before being replaced by a pinch-runner at first base. 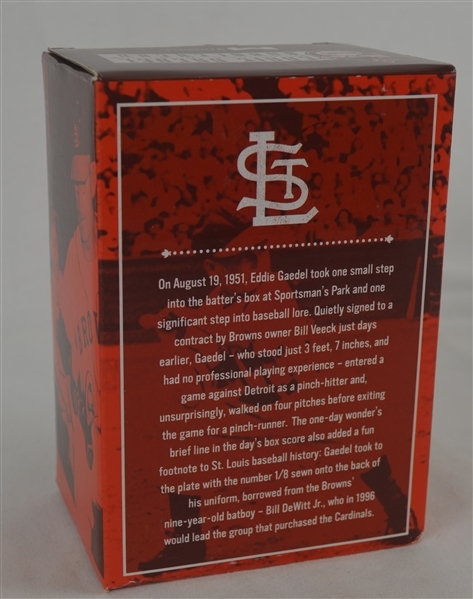 His jersey, bearing the uniform number "?1/8", is displayed in the St. Louis Cardinals Baseball Hall of Fame and Museum.